Prime Minister Sheikh Hasina on Friday (Apr 12) said the perpetrators who set fire on Feni madrasha student Nusrat Jahan Rafi to death would not be spared. 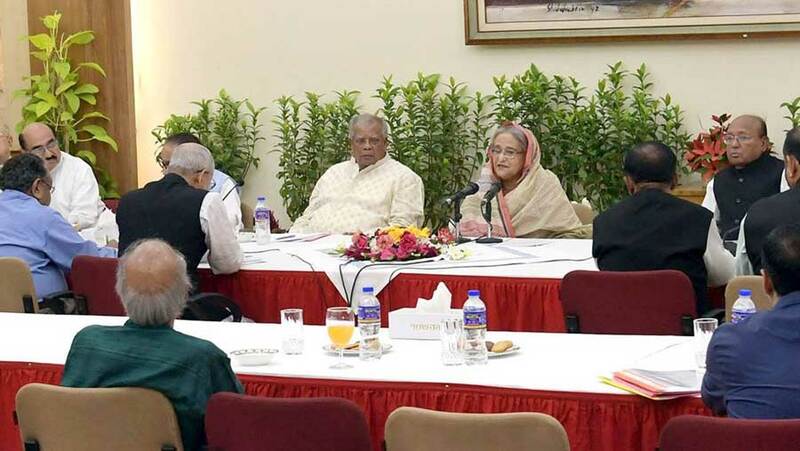 “Some of the perpetrators have already been arrested and more others would also be arrested soon,” she said while addressing an advisory council meeting of Bangladesh Awami League at her official residence Gonabhaban in the afternoon. She said she has no word to denounce the heinous act that a female student was killed in setting on fire by a madarasha principal. Nusrat lost her battle for life on Apr 10, five days after she was set ablaze at a madrasa in Feni on Apr 6. The premier greeted the countrymen on the occasion of the Bangalee New Year to be celebrated across the country on Apr 14, local media reported.